In spite of the widespread popularity of alternative forms of entertainment, cable TV is in a seemingly healthy state, as evidenced by the strong performances of companies such as Comcast and Cablevision. These two companies have their own paths to pave however, as you will see in this comparison article. The Comcast Corporation was established in 1963, and it is currently the biggest cable operator and home Internet service provider in the United States. The company offers cable television, Internet and telephone services to residential as well as commercial customers all over the country. It also has numerous involvements with various TV networks such as E! Entertainment Television, Style Network, G4, and The Golf Channel among others. 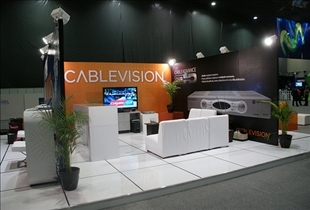 Cablevision or Cablevision Systems Corporation for its part is a cable services provider also based in the U.S., and it is currently the 8th biggest cable provider in the country. At present, the company provides these services mainly to customers in New York, New Jersey, Connecticut, and certain parts of Pennsylvania. Cablevision also provides high-speed Internet via its Optimum Online subsidiary, and it provides digital cable and VoIP services via iO and Optimum Voice respectively. In addition to providing content from third party providers, Comcast also generates content that is delivered via its own networks as well as those of competitor TV service providers. This allows the company to generate revenue from diverse sources. Some of this content includes Comcast Newsmakers, Comcast SportsNet, SportsNet New York, Comcast Sports Southeast, E! Entertainment, Style Network, and many more. Cablevision also offers a wide array of products and services via Optimum Online, Optimum Voice, iO Digital Cable, Optimum Lightpath, Optimum Business, Optimum Business Benefits and many more. The company is also the owner of a few cable networks such as IFC, Fuse, News 12 and Voom HD Networks, in addition to the Clearview Cinemas movie theater chain. More recently, the company acquired Newsday newspaper for the sum of $650M. 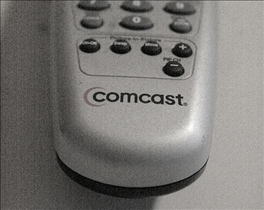 Comcast has a noticeable edge over Cablevision in numerous areas, such as in the number of subscribers. While Cablevision has an estimated 3 million viewers, Comcast has a whopping 24 millions. Comcast also has a market cap of 62 billion compared to Cablevision’s 9 billion. And for the 16% operating margin that Cablevision boasts of, Comcast has a respectable 19%. Comcast does offer a slightly lower dividend yield of1.20% versus Cablevision’s 1.3%. A cable services provider based in the U.S. Which service provider offers better packages? I actually have and work at DISH Network; I strongly encourage you to give them a look. Right now they are offering new customers up to three HD receivers for free. Plus you can always take advantage of the HD free for life promotion and upgrade your channels to HD for no additional cost on your bill. DISH is the best option of TV, especially when it comes to saving money. In fact, Comcast actually won the dispute against Verizon but this time, it is expected that Verizon will win the dispute against Cablevision. my cable bill went up 55 dollars this Jan!!! thats horrible! I cant afford it I am wondering if comcast is cheaper for my internet and t.v. needs/preferences?